At the recent E3 2012 show, I saw the future of virtual reality and gaming. It’s a robust stereoscopic head-mounted display (HMD) called the Oculus RIFT from hardware pioneer Palmer Luckey, shown off by legendary computer graphics guru John Carmack, technical director of Id Software. Using aspheric lenses and side-by-side stereoscopy, the Oculus RIFT boasts a wide field-of-view of 90 degrees horizontal and 110 degrees vertical, with a target price of $500, according to Palmer, which totally kills anything on the market today in the consumer price range. It also uses a gyroscope for orientation data, so you can actually look around inside the game environment quite naturally. As evidence of its importance, Carmack is integrating support for the Oculus Rift into Bethesda Softworks’ DOOM 3: BFG Edition, slated for release in North America in October. (If you want to learn more about the Oculus hardware, you can check out detailed specs here. The RIFT isn’t yet ready to be a neat consumer package; it’s still a DIY device for enthusiasts and hackers, modders, and homebrewers, but “one of the big players will take this as one of the next steps in display [and] interaction technology,” as Carmack notes in the video. It’s the spark of a revolution in the first-person shooter gaming niche. Many DIYers on the Meant To Be Seen forums (Palmer’s DIY community, where he posts about his projects) are already working on open-source software projects to make the Oculus RIFT compatible with other first-person shooters besides Doom 3, such as Skyrim and Mirror’s Edge, as well as many Valve games, such as Portal 2 and Left 4 Dead 2. I’ve had the chance to collaborate with Palmer over the past year or so on other VR projects, such as Shayd and Project Holodeck (a work in progress), and I’ve have worked with a number of his prototypes, like the PR4 and others. The lenses that are built into the HMD tend to stretch the image output so that it wraps around a 90-degree field-of-view, thus giving the player a wide FOV that feels much like peripheral vision. To compensate for this wide FOV optical distortion, John Carmack coded the Doom 3: BFG Edition demo to pre-warp the image coming out of the screen. Valve is also diving into wearable computing, and it is highly likely that they are already working with the Oculus RIFT to integrate it with their Source Engine (this link explains exactly how to integrate a gyroscope properly in the Source Engine for use with an HMD, and I’ve been playing a lot with that C++ code recently). 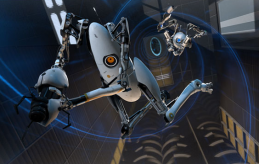 Thus existing games like Left 4 Dead 2 and Portal 2 could be experienced with enhanced visual immersion, and even orientational tracking of the head provided through a gyroscope input. Due to the diverse and dynamic community based around the Source Engine, if the RIFT is made easily compatible, numerous mods would begin springing up that are built specifically for a head-mounted display. Much like how the Razer Hydra was sold with Portal 2, the first truly immersive VR games built for VR hardware could start being sold on Valve’s Steam online gaming platform for developers. Of course, other engines can be just as easily made compatible, particularly the new Unity Pro 4 Engine, which has already been used as the basis for numerous VR experiences at the MxR Lab and the USC Interactive Media Division. The current game I’m producing, Wild Skies, will be using Unity Pro 4 with the Oculus RIFT as well as a positional tracking for a full 360-degree virtual play space. In his latest update, Palmer revealed he is talking with Valve, Bethesda, Epic, Crytek, and Unity about a consumer version of the headset to be developed in 2013. This new version will have built-in support for the most popular game engines, a higher-resolution screen, and wider field-of-view optics. Now, since teaming up with Carmack a few months ago, Palmer can finally launch the final iteration of his RIFT, and dole out some harsh VR justice to the universe. A Kickstarter for of the first round of development of the RIFT head-mounted display is starting around July 19, according to the latest update from Palmer, to coincide with Carmack’s involvement at QuakeCon and Gamescom. There’s going to be a lot of innovation with this kind of hardware in the next ten years during the following console cycle — if you even want to call it a console cycle anymore. All I know is it’s going to be a hell of a decade. 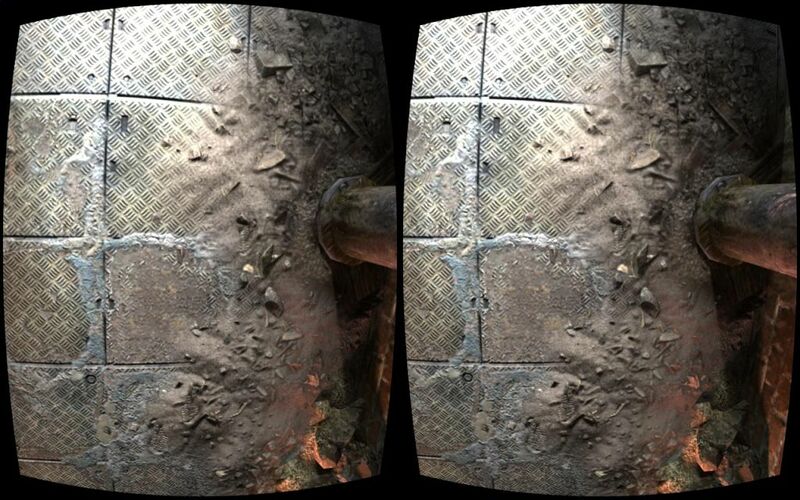 By the time 2013 comes to a close, the returning VR industry will be back in full swing — this time as part of the multi-billion dollar games industry.